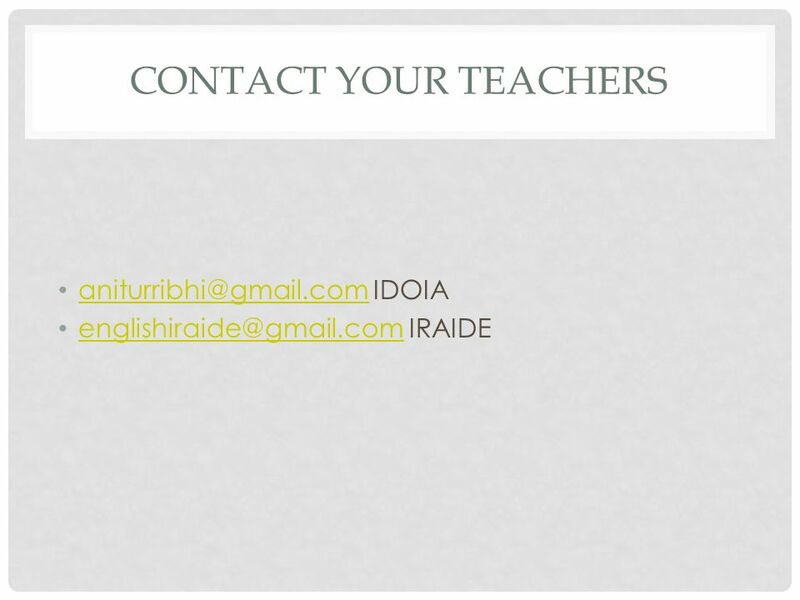 CITIZENSHIP AND CIVIC EDUCATION 2013-2014 IRAIDE URGOITI 3B IDOIA ZAPIRAIN 3A. 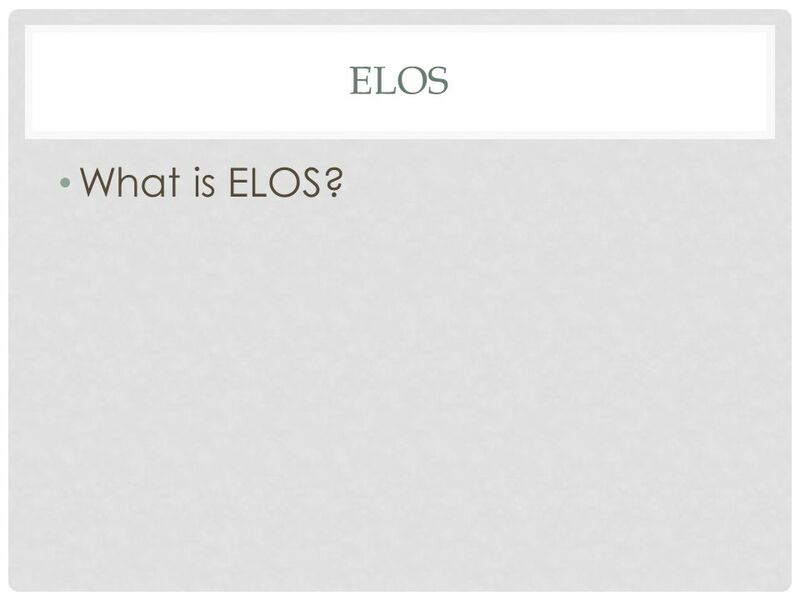 4 ELOS What is ELOS? 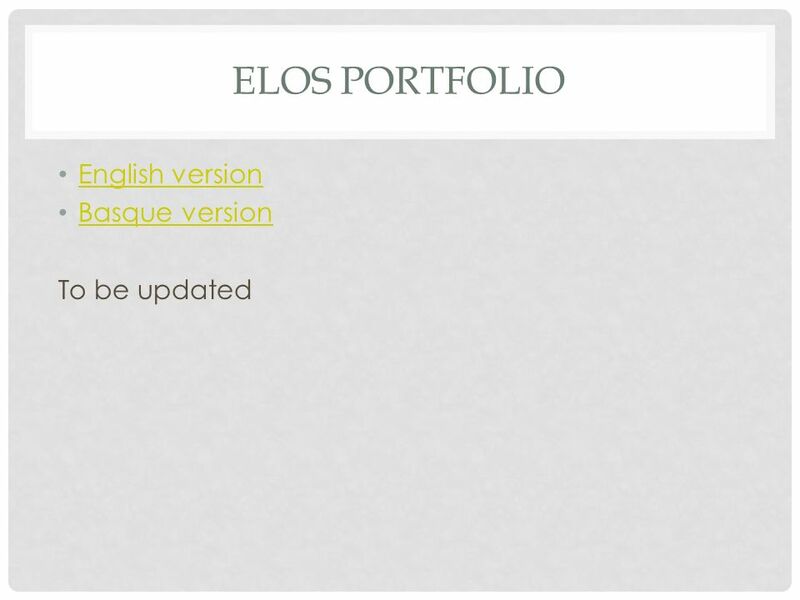 5 ON TOP OF THE WORLD WITH ELOS! 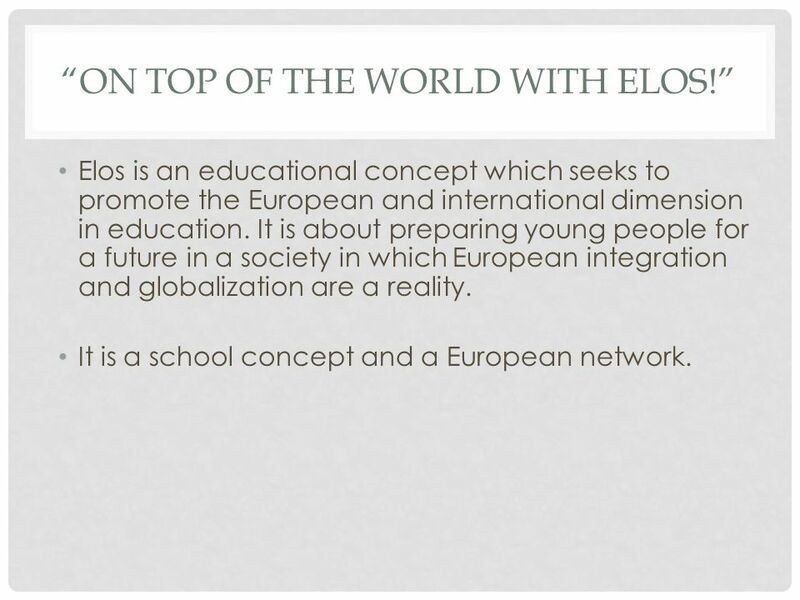 Elos is an educational concept which seeks to promote the European and international dimension in education. It is about preparing young people for a future in a society in which European integration and globalization are a reality. 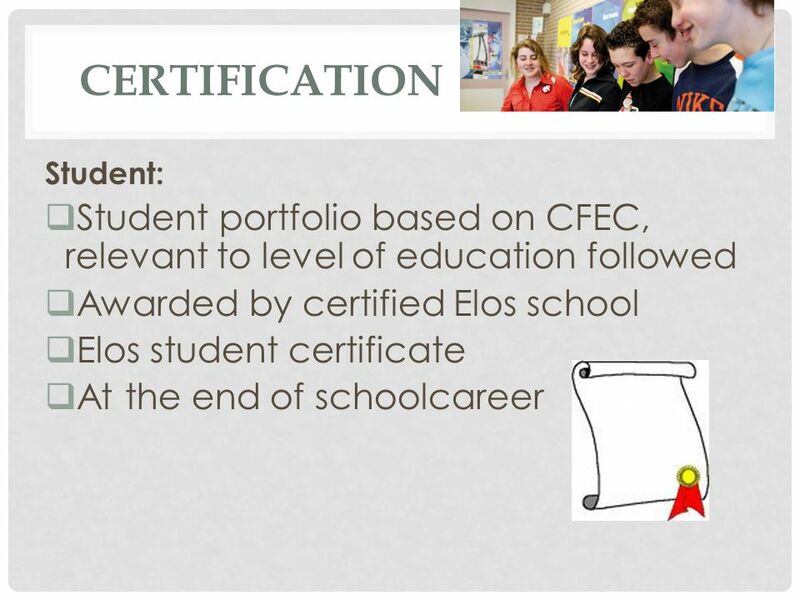 It is a school concept and a European network. 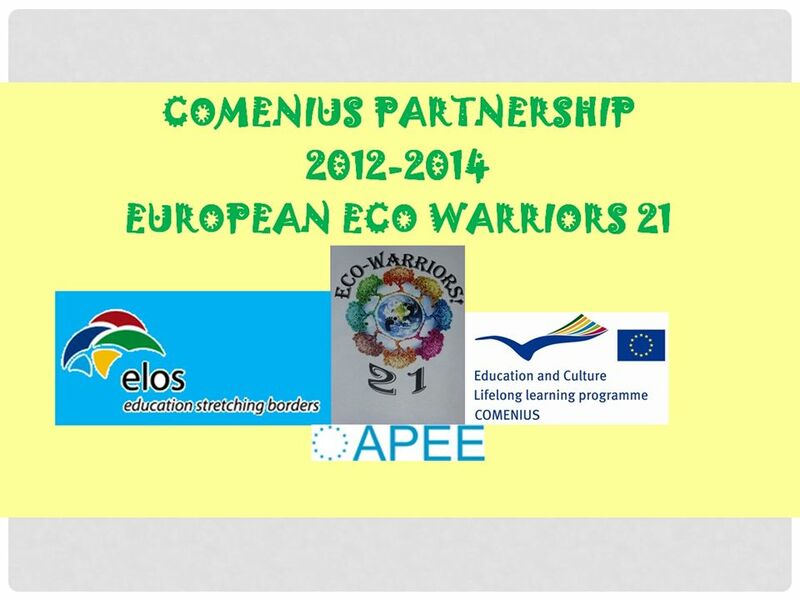 16 COMENIUS 2013-2014 SEPTEMBER 2013 European Eco Warriors 21 committees set up Compare school electricity/water consumption bills and find solutions. 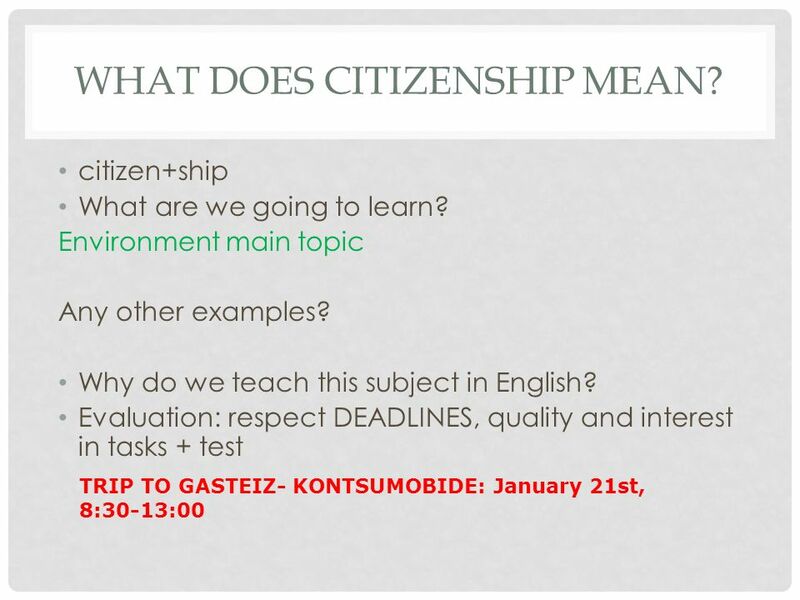 European Language Day: World Café in Lakua with ELOS partners: Antigua-Luberri, Botikazar, Urola and Ekialdea (4 STUDENTS FROM EACH SCHOOL) Web Quests on hazards in our countries Displays to be shared during partners visit: environmental hazards in my country. 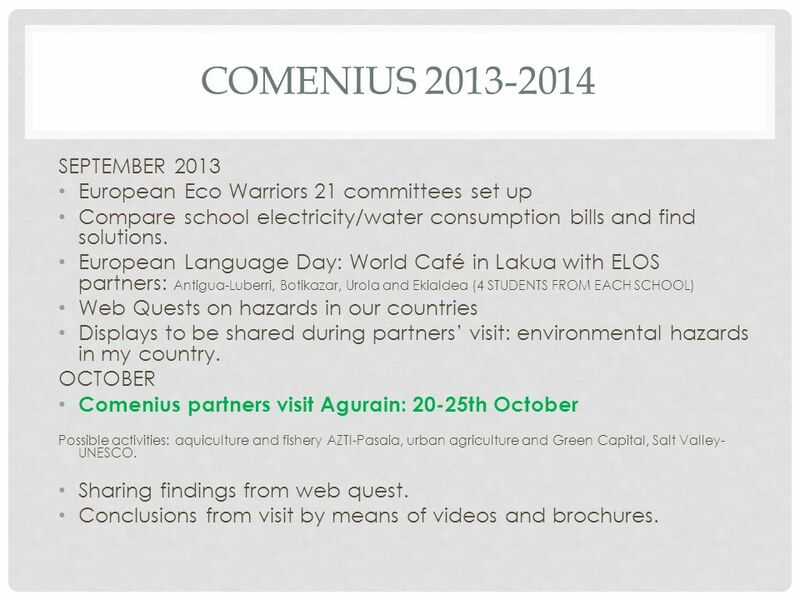 OCTOBER Comenius partners visit Agurain: 20-25th October Possible activities: aquiculture and fishery AZTI-Pasaia, urban agriculture and Green Capital, Salt Valley- UNESCO. 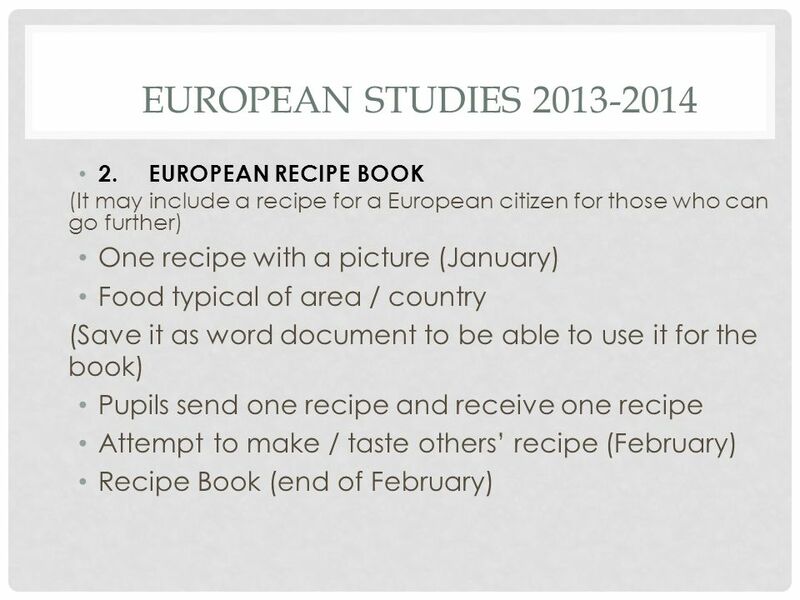 Sharing findings from web quest. 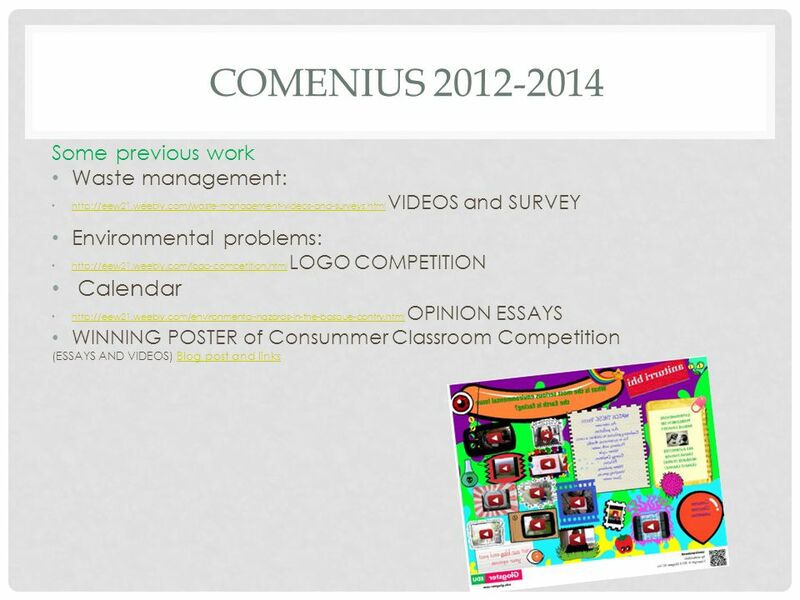 Conclusions from visit by means of videos and brochures. 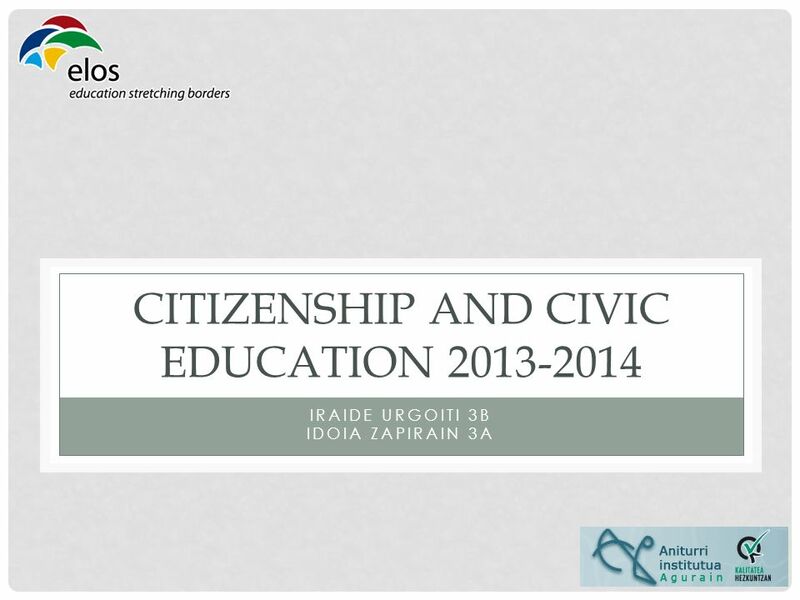 Download ppt "CITIZENSHIP AND CIVIC EDUCATION 2013-2014 IRAIDE URGOITI 3B IDOIA ZAPIRAIN 3A." Future of the network Liverpool November 2008 This project has been funded with support from the European Commission. 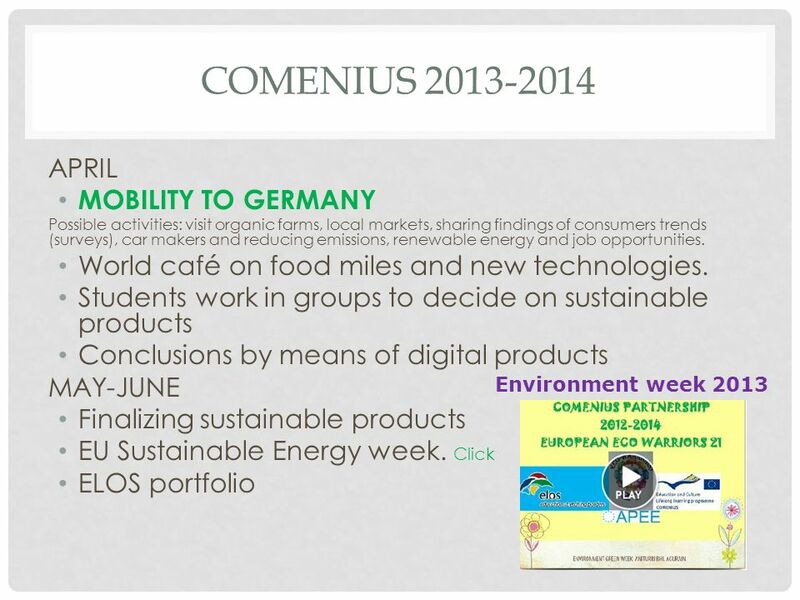 Attaining Energy Efficient Mobility in an Ageing Society The AENEAS project Matthias Fiedler Rupprecht Consult. 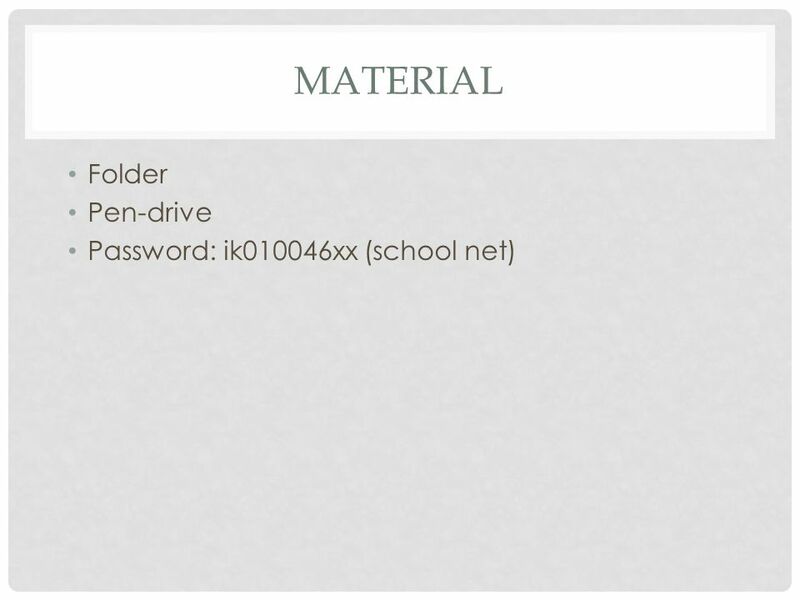 Florida Department of Education Sally Sanders Science Curriculum Specialist. 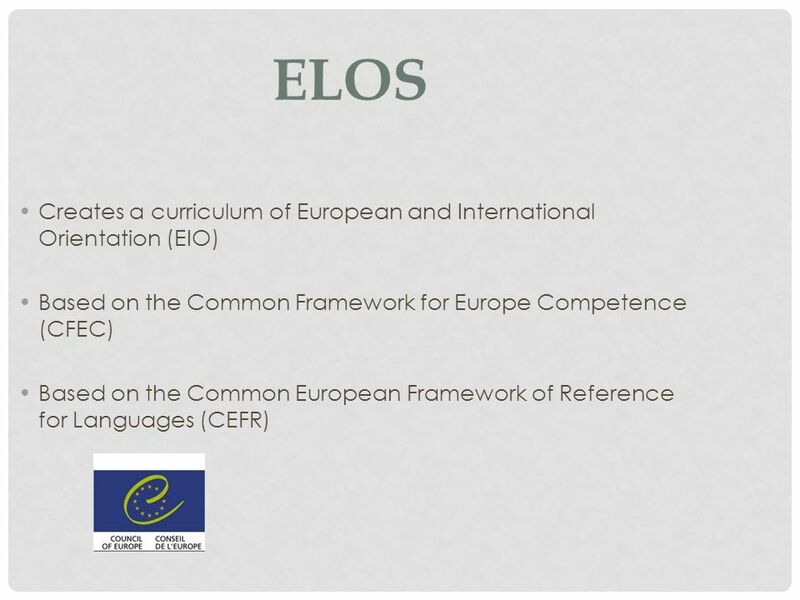 Welcome Croeso Cardiff EDC News November helping you find out about the European Union and the countries of Europe promoting debate about the EU. 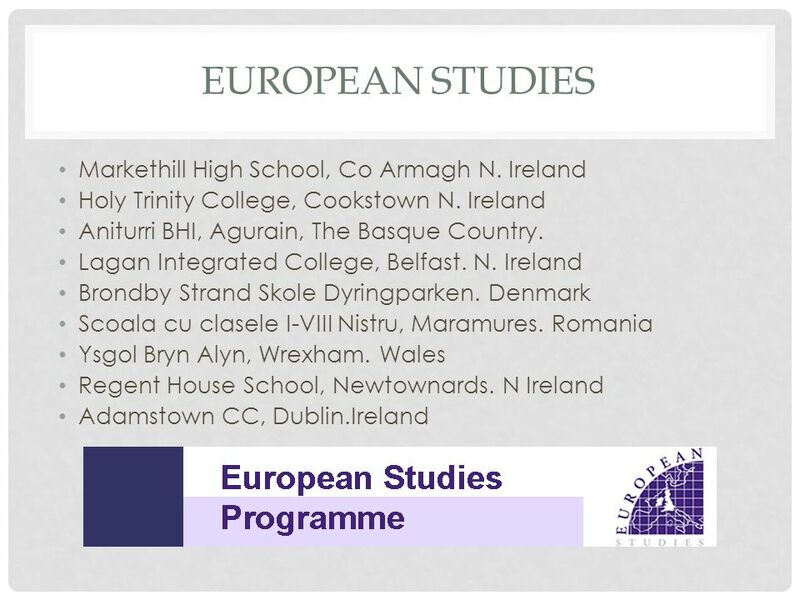 Welcome Croeso Cardiff EDC News July helping you find out about the European Union and the countries of Europe promoting debate about the EU and. My Rights – My Voice Training by Persons with Disabilities to Staff on UNCRPD (10/ /2014) Communication Plan & Dissemination Strategy Kick off meeting. 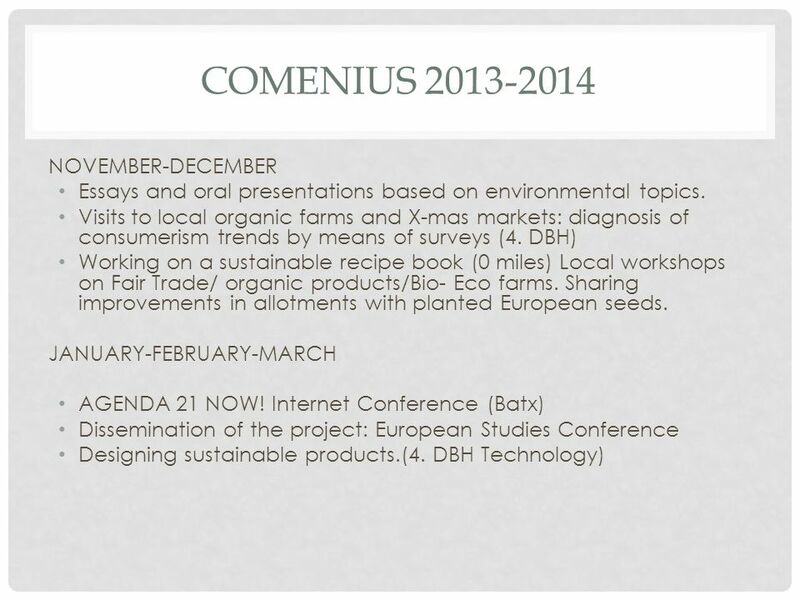 FIRST MEETING 2/12/2010 SPAIN AGENDA. 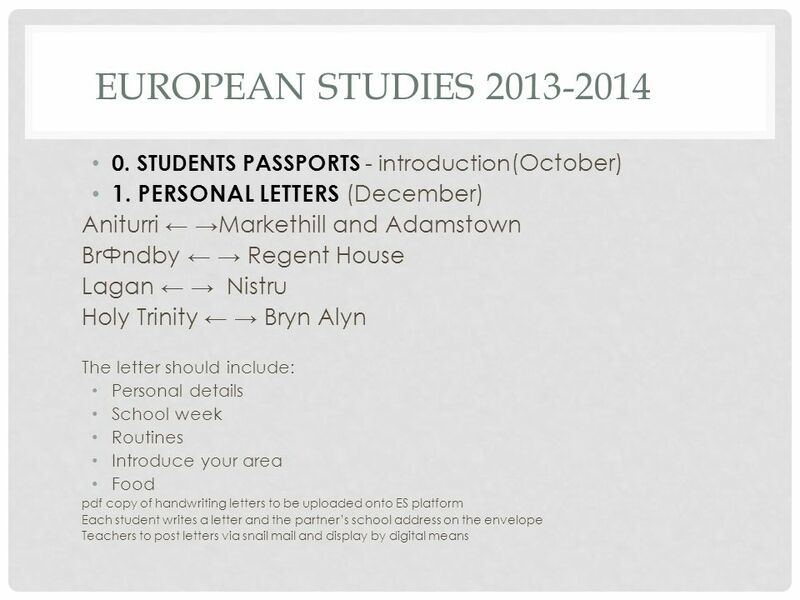 1-GOING THROUGH THE ACTIVITIES SEPTEMBER Introducing project to classes. -Healthy Breakfast twice a week. 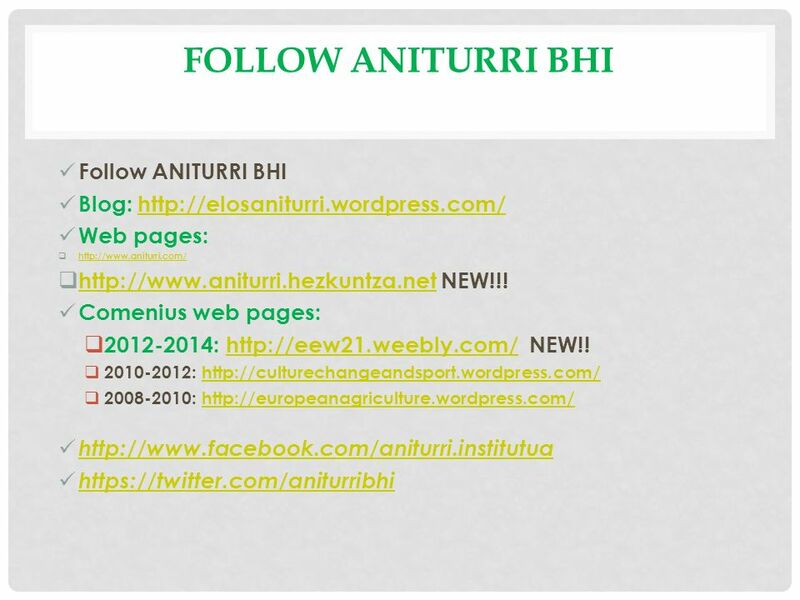 Communication, Exchange and dissemination of good practices. 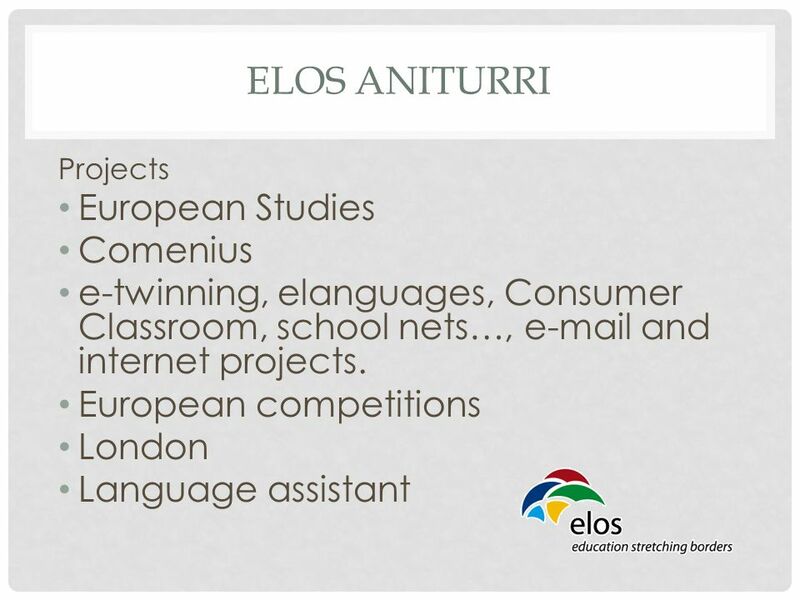 0 Building Bi-regional Partnerships for Global Challenges CAAST-Net Plus is funded by the European Union’s Seventh Framework Programme for Research and. 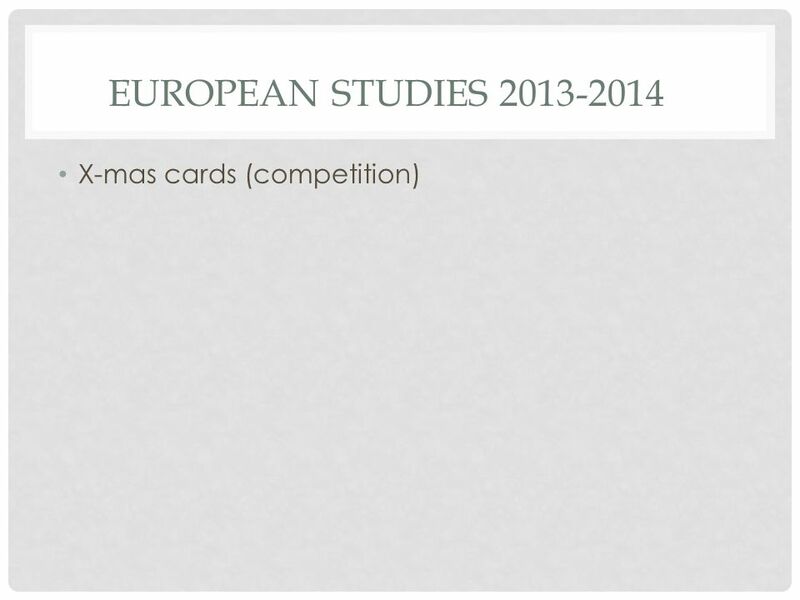 EUROPEAN STUDENTS’ FORUM HOW TO MAKE A WORKSHOP ON... EVERY EU RELATED TOPIC Y VOTE 2014.